England have lost 3 of their last 5 RBS Six Nations games, stretching back to the final game of last season, after defeats in Scotland and France over the last month. Their campaign started well enough with a comfortable win in Italy and a hard working victory over Wales in their only home game so far. After an outstanding record over his first two years in charge, manager Eddie Jones now faces his first major test as England boss after successive defeats. Anyway, England haven’t lost at Twickenham since the disastrous 2015 World Cup campaign.They have not lost against Ireland at Twickenham since February 2010. Jones has made significant changes for this match with Owen Farrell switching to fly-half and George Ford dropped. Richard Wigglesworth, who plays alongside Farrell at London club Saracens, starts at scrumhalf instead of Danny Care. Anthony Watson retains his place at full-back with Mike Brown confined to the bench for another week. Back-rowers Nathan Hughes and Courtney Lawes have been ruled out of the game with knee injuries they sustained against France. Ireland has been already crowned as this year’s Six Nations champions, after England's defeat in France (22-16) last time out, and will have a shot at a Grand Slam this weekend having won all the 4 matches played so far in the competition. They are playing with speed, force and flair and have just set a new record of 11 consecutive wins with the 28-8 victory over Scotland last time out. Anyway, the Irishmen have an awful record in recent direct encounters. In the last eight games between the two sides, England have won six and lost just twice. Ireland prop Cian Healy has recovered from a shoulder injury and should be fit to start at Twickenham. Peter O'Mahony and Rob Kearney have been passed fit too. The Kiwi coach Joe Schmidt has made one change, with Iain Henderson - the man who ended England’s Slam hopes 12 months ago with a try in Dublin - coming into the second row in place of Devin Toner, who drops to the replacements' bench. Coral offer 33/1 ANY TRY to be scored during England vs Ireland in the RBS Six Nations + £5 free bet! We always strive to provide you with the highest prices on every rugby match we preview. The following section contains the best odds on the England vs Ireland match winner market! Looking for bigger prices? Visit our price boosts section and take a look at all today's available enhancements! Get 25/1 England to win vs Ireland in the RBS 6 Nations with Betfair! New Customers can get England at an enhanced 25/1 to beat Ireland. Max Stake £1. Winnings paid in free bets, valid for 7 days, only deposits with cards/Paypal count. Exchange and multiple bets excluded. T&C’s Apply. 18+|Gamble Aware. 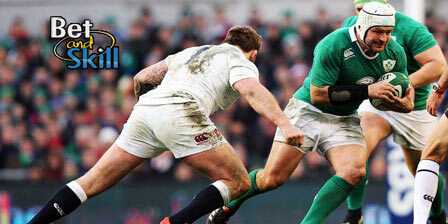 Get 25/1 Ireland to win vs England in the RBS 6 Nations with Betfair! New Customers can get Ireland at an enhanced 25/1 to beat England. Max Stake £1. Winnings paid in free bets, valid for 7 days, only deposits with cards/Paypal count. Exchange and multiple bets excluded. T&C’s Apply. 18+|Gamble Aware. Find below our recommended bets on England vs Ireland, suggested by our professional tipsters. Feel free to copy our betting tips and back them on the betting sites we are recommending! You can also combine them all in a multiple bet via a request a bet service. Wanna get more free betting tips on the 6 Nations? Don't forget to visit our Rugby Free Predictions section! "England vs Ireland betting tips, predictions, odds and free bets (Six Nations - 17.3.2018)"